"[A] skilled patent litigator, especially in the field of life sciences. Sources reserve particular praise for his responsiveness and skillful analysis on matters." Joe Lucci focuses his practice on patent litigation in the life sciences and pharmaceutical industries. Joe's IP practice also encompasses prosecution, interferences, due diligence investigations and patent portfolio management. Joe enjoys working where law and business intersect – working closely with the in-house counsel of major chemical and pharmaceutical companies to develop and execute strategies to obtain, protect and enforce their intellectual property. In addition to achieving litigation victories at the district court and appellate levels, Joe has also been lead counsel in numerous inter partes reviews, inter partes reexaminations, ex parte reexaminations, patent interferences and patent reissue proceedings. Joe has been ranked since 2007 in Chambers USA: America’s Leading Lawyers for Business and is listed in The Best Lawyers in America©. 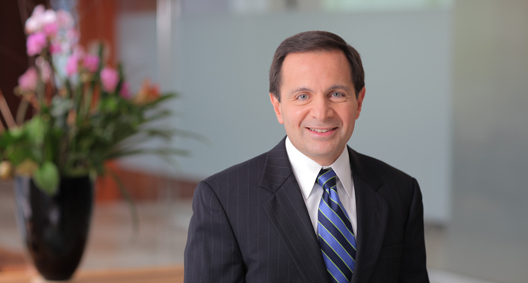 Joe is the managing partner of BakerHostetler's Philadelphia office and formerly served on Woodcock Washburn's Policy Committee. Led a challenge of the Patent Office's position regarding the availability of subpoenas in inter partes reexamination proceedings, including district court proceedings and an appeal to the Federal Circuit. Secured a jury verdict for the University of Pennsylvania in a patent infringement suit involving nucleic acids that code for amyloid precursor protein with the Swedish mutation. Defended a pharmaceutical client's patent rights against allegations of misappropriation and improper inventorship relating to novel forms of the enzyme arginine deiminase. Obtained a finding of non-infringement for the client in a multiple-defendant litigation involving an assertion of four patents relating to the administration of hepatitis B vaccines. Best Lawyers® 2019 Litigation – Patent "Lawyer of the Year"